The iconic German firm hasn’t wavered in its deep-rooted focus on sustainability. 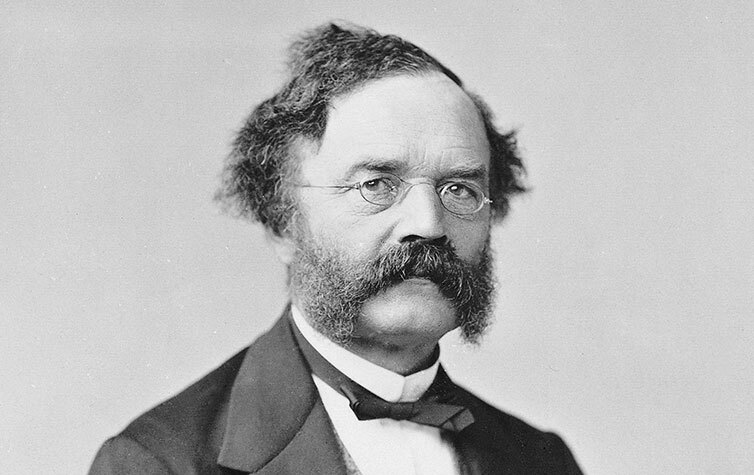 Werner von Siemens would have celebrated his 200th birthday on December 13, 2016. In his memory, the company he founded (now probably unrecognizable to its progenitor) held a gala event at its headquarters in Berlin, attended by luminaries from Chancellor Angela Merkel down. This heritage makes it appropriate that in this anniversary year, Siemens tops Corporate Knights’ 2017 Global 100 ranking, with scores above 90 per cent in several categories pertaining to energy, innovation and human resources. An industrial conglomerate focusing on electrification, automation and digitalization, Siemens is a leading supplier of systems for power generation and transmission, as well as medical diagnosis. In infrastructure and industry solutions, the company also specializes in energy-efficient, resource-saving technologies. With more than 351,000 employees in over 190 countries, Siemens generated revenues of €79.6 billion in fiscal year 2016. As well as ensuring accountability for sustainability at the board level, Siemens has taken its brand claim “ingenuity for life” as the inspiration for what it calls a Business to Society approach. As part of this philosophy and under its sustainability program, it is systematically carrying out studies of each country where it is active to identify the priorities for that country, with a methodology in alignment with the World Business Council for Sustainable Development. According to the Corporate Knights data, Siemens’ performance in energy productivity is outstanding, with a score of 94 per cent. This was driven in part by client demand for energy efficiency and clean energy, but also by an ambitious internal target. Siemens aims to cut its carbon footprint in half by 2020 and to become carbon neutral by 2030. A slew of acquisition and investment announcements in the renewable energy field shows a company determined to meet this target. “We focus on four levers – our energy-efficiency program, decentralized energy systems, optimization of our vehicle fleet and electricity from renewable sources,” according to the company’s sustainability website. Decentralized energy systems, where the energy needed for a building is either provided on site or managed in a dynamic way, has been an important element (along with sustainable building design and management) in designing the new Siemens headquarters in Munich to produce 90 per cent lower carbon dioxide emissions. In addition, it uses 90 per cent less electricity and 75 per cent less water than comparable conventional buildings. With a vehicle fleet responsible for up to 15 per cent of the company’s carbon footprint, improving transport efficiency has lowered carbon emissions and is also projected to cut gasoline costs by a third by 2020. Siemens expects to save more than €20 million annually from 2020 onwards from investments in energy-efficiency projects. This is typical of the company approach to sustainability. Although it is very much informed by the global context and the need to work towards a world that continues to be habitable, the focus never wavers from maintaining a stable and profitable business. Finally, the commitment to renewable energy is already showing results, with 50 per cent of power used at Siemens plants in Germany coming from renewable sources. The 20 per cent in the U.S. looks less impressive, but is on target to become 100 per cent by 2020. That ownership should not just belong to white men. Thirty per cent of the supervisory board are women, as demanded by German statute, but there is still some distance to go at lower management levels. By June 2017, Siemens intends to make sure at least a tenth of those at the top two management levels below supervisory board are female. In a globalized world, where companies are increasingly expected to take some responsibility for sustainability practices in their supply chain, Siemens has taken the initiative to improve its engagement with its cohort of some 90,000 direct suppliers. 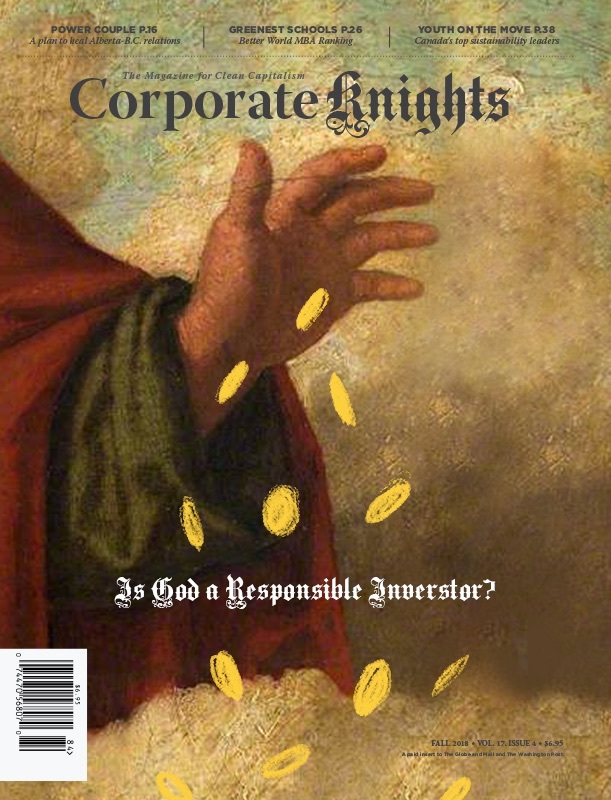 This year for the first time, sustainability in the supply chain has been included in the Corporate Knights’ global rankings. Because the limitations of publicly available data have constrained the CK methodology to looking at the sustainability score of each company’s largest publicly known supplier, Siemens has not scored particularly highly on this metric. However, the company has a highly developed but less easily quantifiable strategy for improving the sustainability of its supply chain. This is a risk-based system, intended to identify potential risks in the supply chain. The system consists of sustainability self-assessments by suppliers, risk evaluations conducted by Siemens’ purchasing departments and sustainability audits by external auditors. So, although there is no commitment to vetting every single supplier directly, suppliers are asked to self-assess, Siemens employees conduct risk assessments on suppliers and independent scrutiny is provided by external auditors specifically looking at sustainability. Problems found and flagged are expected to be rectified on an agreed timetable (as has happened in a number of cases already), but there is also a framework for escalating issues up to the point of ending a supplier relationship and placing it on a central list to ensure other divisions of Siemens are aware of the problems. This program is not trivial – the number of external sustainability audits ramped up significantly in fiscal year 2016 to 320, from 50 in the previous period. With its 90,000-plus suppliers and its presence in virtually every nation, Siemens is an example of the interconnectedness of industry and manufacturing in a globalized world. It is taking seriously its responsibility to support sustainability throughout its ecosystem.